Voicebot reported in March that Master Replicas was working on a new smart speaker that recreates the iconic HAL 9000 talking computer from the Stanley Kubrick movie “2001: A Space Odyssey.” The device is now available for order on Indigogo and is expected to ship in early 2019. It will come in two models. The first is a desktop unit that rests in charging stand and is a replica of the HAL 9000’s red light often referred to as its eye. It is similar to an Amazon Echo in that the display capabilities are limited to an LED light. That model is priced at $419 as an early bird offer, $499 for the campaign and is expected to retail for $599. The second model replicates the full HAL 9000 wall-mounted console from the movie. It is listed at $999 with an early bird discount to $889. This device includes a screen that displays the computer images from the movie as a default, but also can display chess and other images. The console is also a collector’s edition that Master Replicas says will be limited to 2001 numbered units. Thus far, the campaign has raised $492,362 in sales and is available for 24 more days. 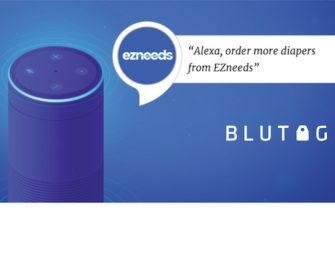 The smart speaker is compatible with Bluetooth 4.0 devices which means it can connect to other devices such as smartphones. It also supports A2DP and HFP protocols. Amazon Alexa is pre-installed so you can get both HAL’s voice and Alexa through the device. It appears that HAL’s voice is limited to playing clips from the movie. Master Replica licensed rights from Warner Brothers to create the device and play back movie scene audio.